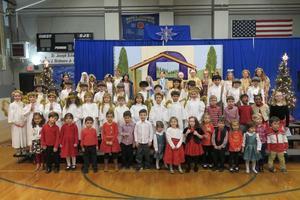 Our 4th graders star in the annual production while our PreK- third grade classes each perform a song. A special thank you to parent director Trisch Lagana and music director Mary Pat Davies for all of their hard work in preparing our children. To view all the pictures, click here.